Professor Lesley Rogers has made outstanding contributions to understanding brain development and behaviour. She discovered lateralization in the chick forebrain, when lateralization was still believed to be a unique feature of the human brain. Later it became known that hemispheric specialisation is ubiquitous in the animal kingdom. Rogers also discovered that lateralization of visual projections and visual behaviour in the chick is caused by exposure of the embryo to light just before hatching. The developing chick brain proved to be an excellent model for investigating the influence of hormonal and experiential factors on neural and behavioural development, and memory formation. 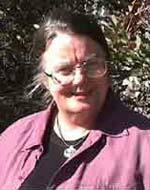 Lesley Rogers was Professor of Neuroscience and Animal Behaviour at the University of New England (1993-2007) and is now an Emeritus Professor. In 2000 she was elected as a Fellow of the Australian Academy of Science on the basis of her strong international reputation in the field of brain and behaviour. She graduated with a First Class B.Sc. Honours degree from the University of Adelaide in 1964 and then spent 7 years overseas at Harvard University, the New England Medical Center Hospital and the University of Sussex. She received her D.Phil. degree from the University of Sussex in 1971 for research in animal behaviour and neuroscience and then she returned to Australia, appointed to the Physiology Department at Monash University. From 1996 to 1997 she was a Senior Research Fellow at the Australian National University and from 1978 to 1985 she appointed to the Pharmacology Department at Monash University. She joined the University of New England in 1985 and was appointed to a personal Chair in 1993. In 1987 the University of Sussex awarded her a Doctor of Science degree for her research over the years following her D. Phil degree. In 1997 she received the Vice Chancellor's Award for Excellence in Research. Her research on brain development and animal behaviour has been funded by the Australian research Council continuously from the 1970s until the present. From 1998 to 2002 she held an ARC Special Investigator Award for her research on lateralization of brain function and its changes during development and aging. Most of her current research focuses on the chick and the marmoset, as model systems for study, but she is interested in evolution of lateralization and also works on bees, frogs, toads, other avian species and orang-utans. In addition to her research interests, Prof. Rogers has served the university as Chair of the Animal Ethics Committee, Chair of the Research Doctoral Committee, Head of the Department of Physiology (1991-1995) and Deputy Chair of the Academic Board. Outside of UNE she has been Subpanel Chair of Biological Sciences for the Animal Research Council's Research Training and Careers Committee (1997-1999) and the Australian Vice Chancellors' Committee representative on the Australian Research Review Panel (1999-2004), which deals with animal welfare in research. She has also been President of the Australian Society for the Study of Animal Behaviour in NSW, President of the International Society for Comparative Psychology, Editor of the International Journal of Comparative Psychology, Associate Editor of the Asia Pacific Journal of Pharmacology and is currently a member of the editorial boards of six international journals (listed below). She combines her research interests with a commitment to communicating science to a broader audience, in radio and television interviews, public lectures and writing books. This interest extends to her active role in promoting the role of women in science and addressing issues of biology and politics (sexism and racism). She conducts collaborative research with Prof. Gisela Kaplan, Prof. Gorgio Vallortigara (University of Trieste, Italy), Prof. Martine Hausberger (University of Rennes, France) and Prof. Richard Andrew (University of Sussex, U.K.). Rogers, L.J. and Vallortigara, G. (eds) (2017) Lateralized Brain Functions: Methods in Human and Non-human Species. Humana Press, Springer NeuroMethods Series, vol. 122. ISBN: 978-1-4939-6723-0. Rogers L.J. and Frasnelli E., Antennal asymmetry in social behavior of the Australian stingless bee, Tetragonula carbonaria. Journal of Insect Behavior, in press. DOI: 10.1007/s10905-016-9575-z, 2016. Gordon D.J. and Rogers L.J., Cognitive bias, hand preference and welfare in common marmosets. Behavioural Brain Research, 287, 100-108. Doi: 10.1016/j.bbr.2015.03.037., 2015. Rogers L.J., Rigosi E., Frasnelli E. and Vallortigara G., A right antenna for social behaviour in honeybees, Nature Communications/ Scientific Reports 3: 2045, doi: 10.1038/srep02045, 2013. Piddington T. and Rogers L.J., Strength of hand preference and dual task performance by common marmosets, Animal Cognition, 16, 127-135, doi 10.1007/s10071-012-0562-2, 2013. Kaplan G., Pines M.K. and Rogers L.J.,Stress and stress reduction in common marmosets,Applied Animal Behaviour Science, 137, 175-182, 2012. Rogers L.J., The two hemispheres of the avian brain: their differing roles in perceptual processing and the expression of behaviour, Journal of Ornithology, 153 (Suppl 1), S61-S74, 2012. doi: 10.1007/s10336-011-0769-z. doi: 10.1016/j.rvsc.2012.02.017. Epub Mar 24 2012. Austin N.A. and Rogers L.J., Limb preferences and lateralization of aggression, reactivity and vigilance in feral horses (Equus caballus), Animal Behaviour, 83, 239-247, 2012. Frasnelli E., Vallortigara G. and Rogers L.J., Left-right asymmetries of behaviour and nervous system in invertebrates, Neuroscience & Biobehavioral Reviews, 36, 1273-1291, 2012. Kaplan G., Pines M.K. and Rogers L.J., Stress and stress reduction in common marmosets, Applied Animal Behaviour Science, doi.org/10.1016/j.applanim.2011.04.011, 2011. Frasnelli E., Vallortigara G. and Rogers L.J., Origins of brain asymmetry: Lateralization of odour memory recall in primitive Australian stingless bees, Behavioural Brain Research, 224, 121-127, doi:101016/j.bbr.2011.05.026, 2011. Rogers L.J., The two hemispheres of the avian brain: their differing roles in perceptual processing and the expression of behaviour, Journal of Ornithology, in press. doi: 10.1007/s10336-011-0769-z, 2011. Rogers L.J., Does brain lateralization have practical implications for improving animal welfare?, CAB Reviews: Perspectives in Agriculture, Veterinary Science, Nutrition and Natural Resources, 6, No. 036, 2011. Rogers L.J., Hand and paw preferences in relation to the lateralized brain, Philosophical Transactions of the Royal Society London B, in press. doi:10.1098/rstb.2008.0225. Rogers L.J., Development and function of lateralization in the avian brain, Brain Research Bulletin, 76, pp. 235-244, doi:10.1016/j.brainresbull.2008.02.001, 2008. Rogers L.J., Munro U., Freire R., Wiltschko R. and Wiltschko W, Lateralized response of chicks to magnetic cues, Behavioural Brain Research, 186, pp. 66-71, doi:10.1016/j.bbr.2007.07.029, 2008. Rogers L.J., Lateralization in its many forms, and its evolution and development, In W.D. Hopkins (ed.) The Evolution of Hemispheric Specialization in Primates, Special Topics in Primatology, vol. 5, Elsevier, Amsterdam, pp. 23-56, 2007. Rogers L.J., Andrew R.J. and Johnston A.N. B., Light experience and the development of behavioural lateralization in chicks. III. Learning to distinguish pebbles from grain, Behavioural Brain Research, 177, pp. 61-69, doi:10.1016/j.bbr.2006.11.002, 2007. Vallortigara G. and Rogers L.J., Survival with an asymmetrical brain: advantages and disadvantages of cerebral lateralization, The Behavioral and Brain Sciences, 28, pp. 575-633, 2005. Rogers L.J., Zucca P. and Vallortigara G., Advantage of having a lateralized brain, Proceedings of the Royal Society London B – Biological Sciences, 271, S420-S422, 2004. Also FirstCite, Biology Letters, doi:10.1098/rsbl.2004.0200, May 2004. Rogers L.J. and Andrew R.J., Comparative Vertebrate Lateralization, Cambridge University Press, N.Y, pp. 660. ISBN 0521781612 Hbk, 2002. Re-issued in 2008 - ISBN 978-0-521-78161-9 Hbk and 978-0-521-78700-0 Pbk. Rogers L.J., Evolution of hemispheric specialisation: Advantages and disadvantages, Brain and Language, 73, pp. 236-253, 2000.